We are excited to announce “art(ist)FILM” – a new partnership between CIT Cork Institute of Technology, and IndieCork Festival, which will present moving image works by student and graduate artists as part of the IndieCork Festival in October 2018. 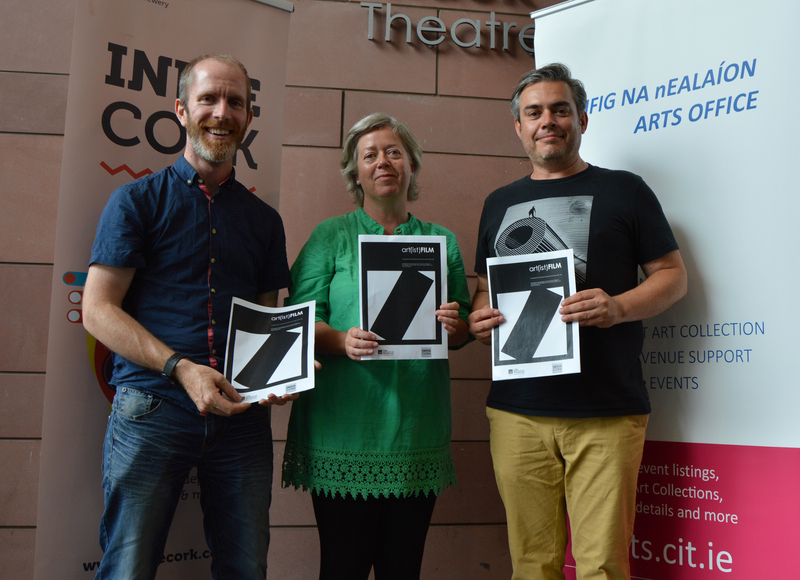 CIT Arts Office, CIT Crawford College of Art & Design, and CIT Cork School of Music will collaborate with the IndieCork Festival team to develop this initiative, and look forward to showcasing innovative, original work. IndieCork Festival has become synonymous with the presentation of experimental and interdisciplinary film, music, and visual art. CIT Crawford College of Art & Design encourages individual expression using the moving image. This is an area of artistic production that has grown enormously, both internationally and locally, over the past two decades. CIT Cork School of Music has a formidable history of music education and performance at the highest level, and is establishing a strong reputation in the area of music in film. This new partnership will offer a platform for screenings and discussion in a variety of contexts and venues in Cork. By bringing together students, graduates, experienced professionals, and a supportive audience, Cork can foster the artistic and professional development of a new generation working with the moving image. art(ist)FILM 2018 will focus on the relationships between artists and film, and will feature a programme of works by CIT students and graduates selected through an Open Call, contextualised by guest lectures and panel discussions. Kevin Tuohy, CIT Arts Office; Úna Feely, IndieCork Festival; and Pádraig Trehy, CIT Crawford College of Art & Design, at CIT Cork School of Music to announce “art(ist)FILM” – a new partnership between CIT and IndieCork Festival to present moving image works by student and graduate artists as part of the IndieCork Festival in October 2018. CIT Arts Office, CIT Crawford College of Art & Design, and CIT Cork School of Music will collaborate with the IndieCork Festival team to develop this initiative, and look forward to showcasing innovative, original work. Photo Amanda Higgins.